Best Housekeeping Services in Kolkata West Bengal - Digi Man Solutions Pvt. Ltd.
Are you looking for the right housekeeping staff for certain jobs at your space? If yes, then you have come to the right place. At Digi Man Solutions Pvt. 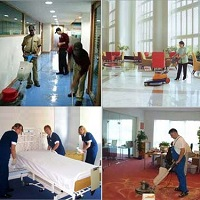 Ltd., we are engaged in providing reliable housekeeping services to the clients across Kolkata (West Bengal, India). Our housekeeping services are available for residential properties, industrial properties, factories, corporate spaces, and hotels. Our housekeeping services are available at the most reasonable charges. The staff is humble and highly efficient. So, feel free to contact us anytime.